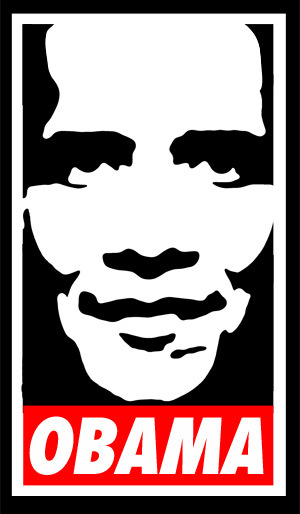 When Shepard Fairey posted his wonderful Barack Obama poster last week, many people of course made the statement “Barack Obama Has a Posse”, in reference to Shepard’s infamous “Andre the Giant Has a Posse” stickers and posters. 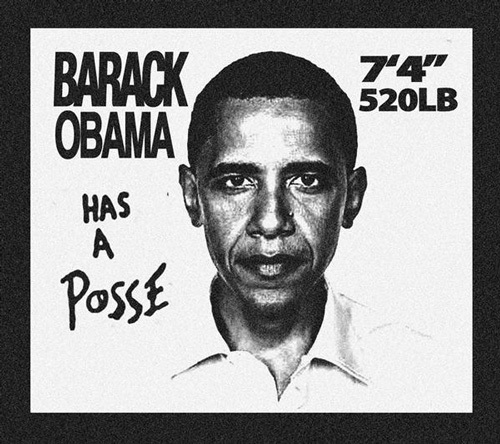 A couple of Obey fans have taken it a step further and created “Barack Obama Has a Posse” images based on Shepard’s original designs. Over on Chicagoist, Margaret Lyons posted a collection of some of the other Obama artwork that has been making the rounds, like this great illustration by Thomas Brodahl. The online support for Obama has been pretty astounding over the last few weeks. I’m not seeing anything like this for any of the other candidates, including Hillary. In fact, this is the first time I’ve seen so many prominent endorsements for a candidate this early on in an election, like this one from Craig Newmark. Viral support for Obama spreads fast. 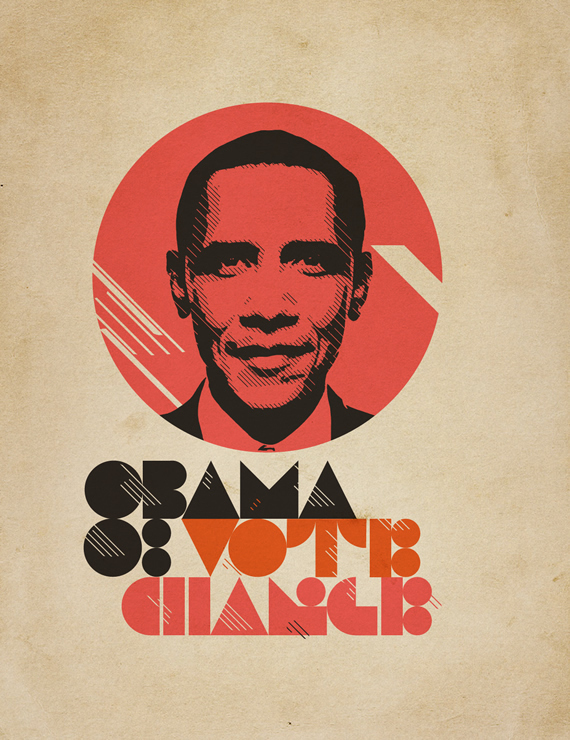 “Yes We Can!”, a music video inspired by Obama’s New Hampshire primary speech directed by Jesse Dylan featuring will.i.am of the Black Eyed Peas and multiple celebrity cameos, is showing up all over the place and now has over 1 million views on YouTube in just two days. Speaking of Obama videos, Eddie Codel and Ryan Junell have made a couple of great videos in support of Barack Obama, “Super Duper Tuesday!” and “Coming together for Obama”. So yeah, I think it’s pretty safe to say at this point that Barack Obama does, in fact, have a posse, a pretty impressive one at that. Tomorrow we will find out just how big his posse really is. UPDATE: I think Noam Cohen is on to something in his New York Times article “Is Obama a Mac and Clinton a PC?”, which would explain the creative and artistic appeal of Obama over Clinton.